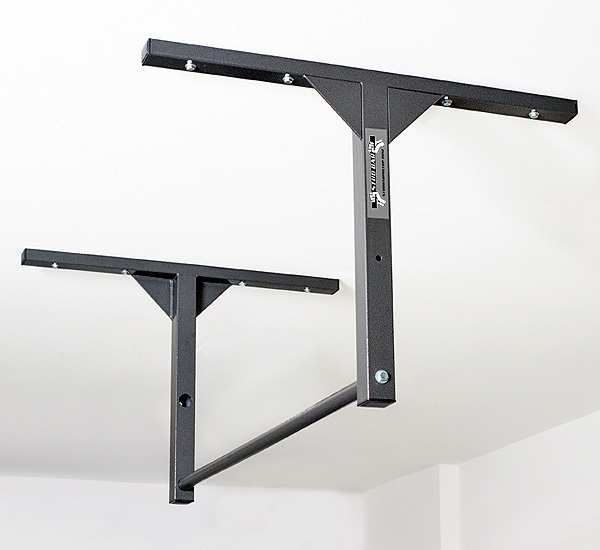 Stud Bar manufactures sturdy ceiling or wall-mountable pull up bars that can be used for pull ups, chin ups, or kipping pull ups. Stud Bar products are popular for use in high intensity interval training programs (hiit) similar to CrossFit. Gymnastics rings or resistance bands can be added to expand the workout possibilities and turn a pull up bar into a home gym.